California Consulting announces the UPCOMING Funding for Prop. 68-California Department of Fish and Wildlife: Rivers and Streams Restoration Grants. Final guidelines have not been released, therefore, all details are preliminary. - California Consulting, INC.
California Consulting announces the UPCOMING Funding for Prop. 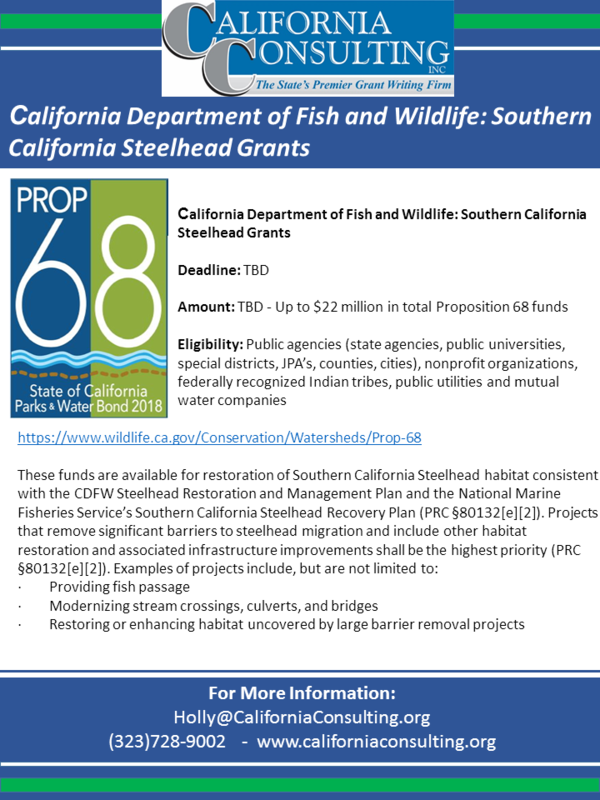 68-California Department of Fish and Wildlife: Rivers and Streams Restoration Grants. Final guidelines have not been released, therefore, all details are preliminary.